Gorgeous mountain home with views of a valley. This 2867 sq.ft. 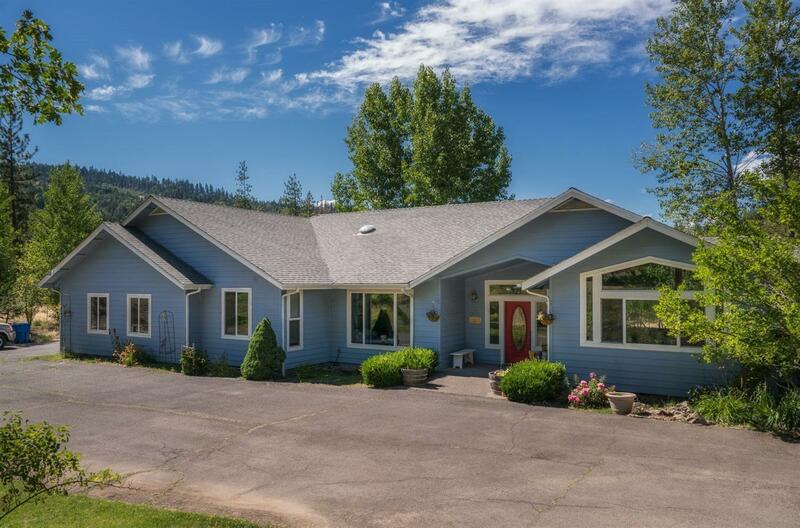 home has 5 bedrooms and 3 bathrooms all on 2.5 acres. Open floor plan, views of the valley and mountains from several windows. Inside you will notice new granite and a kitchen that has plenty of cabinets and counter space. Giant open room to enjoy views and soak in the ambiance of the mountain surroundings. Outside you will find mature trees plenty of parking, room to garden and grow, privacy and seclusion.